Years go by, but I always end writing round here or somewhere on the web waves about "my" band. the one that I give to "my" band. that extrudes directly from my spirit.This matters simply more than any other consideration:it's part of me, full stop. Does it sound very aleatory or unimportant? well, the output of wellness they gift you with just justifies you to be grateful for their appearing in the world, your own world. That's what I owe to Oasis: basically, natural joy that invades me when they come stepping back into my lil world. It renews any single time I listen to their new songs. I can't stop to thank them for still being around. Uninventive? who cares. They always turn my days to kinda shining shades :). Uninventive? Name me the real inventive rock items around. If you come with more than 3 names in 3 decades to me, I'll be surprised actually. started before that limit, you can figure out the rest of my conclusion on the matter. 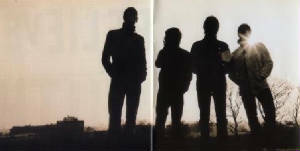 From the end of the 70's, merely Queen and Nirvana have been something "inventive" in rock, at spots at least. mantaining the bounderies in the rock area and not in the alternative section world (and you know I simply adore REM). in me the refusal could happen at any moment. Ehy!You know they're expert in wasting massive chances, after all. I never really felt let down by them. They contributed to make me feel even closer to them. that kind of artistic representation that help people find answers even when they are not askin out for them. They do in no pretentious way, cos their background makes them as far as possible from cerebral analyses. Which doesn't mean they cannot reach your soul way beyond what you'd assume. 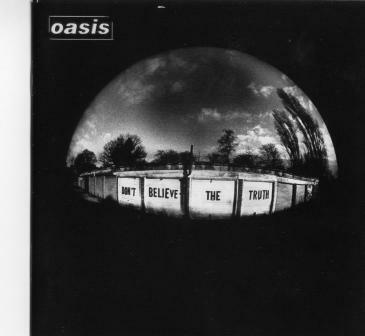 This new record of Oasis has been a positive surprise for me from the very first listening. to make it and mostly, considering all the members had a role active in it. But I have been proved wrong. This record is consistent, it has a direction, it's driven, compact, and still one of the most various they ever made. Of course, you gotta read the word "various" adapting it to a well defined concept of classic rock style. I played the record, and "that feeling" came straight back into my soul, like some chemistry offspring from nowhere land. of the role models (role models don't really have appeal in your teenage times do they?) is something precious to me. The eye of the kid that has always to survive in you, or you would become too saddened from ongoing life's and world's diseases. Well, Don't Believe The Truth makes me believe the truth that not only "my band" is back, but that it is in even good shape. Really good one to be honest, and when I write down this I am assured it's not the fan who writes. 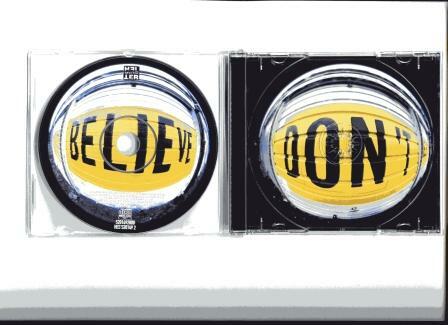 Sure, you gotta love pure and simple rock tunes to appreciate this album. to be explored by them, no sudden surrenders to high political messages, no fears, no master rages. It's a rock classic record, and then you could say "again" or "just that" or "again just that", with disappointment. original wish to be expressive in the simplest of ways. That's rock to me. or sugar candies, or slices of cakes, just because you wanna reduce your own world of appreciation? reality you can achieve with it. Complexity, diversity... all this enriches the world. Oasis enrich mines, cos their simplicity just can sound naturally appreciable. It has not always been so: in this record, it's again so. Oasis are playing rock here, and the bits of it sounds fine to my ears. I feel like singing, I feel like I can paint situations of my own life listening to those of their own lives. Not much? Well, it might be such a kind present to my own self instead. I see them true to themselves while following the tunes: most importantly, I perceive them happy again to play an sing. Gem and Andy's ones as well. Well, our kid is topping himself several times on this record. I know him since 92 by now... hell, he's happy to sing. He does it incredibly well. And he's affectively tender, ductile, measured in this record, always being just "Liam who sings typical rock tunes". None does it like him. His voice stands out still as a miracle around. That voice that above graced him with, still capable to make me shiver. I can't avoid to thank some gentle "entity" for this. I think the Liam's sign on the record is "love": darn.. this man is so scruffy tender it melts me. keep listening to the hope that never fades away from a reasoning brain, nor from a beating heart. Noel's heart beats gently still. And he sings lovely on this record. Talkin about Noel, my favourite tune from him has been immediately "The importance of being idle". It's Noel's trademarked spirit 110%, and it's so catchy melody too, innit? Give it a try, you won't regret. it's nothing paranoid, nor too deep. It's a rock tune to be sung along to. I truly hope that it's gonna happen that one of the next singles will be Let There be Love. I verbalize my emotional involvement in this song with this sentence: "Now there's love between the sibling rivalry"
I never heard Liam singin that hypnotizing, so embracing and purifying : looks like he's got what he wanted from Noel. Love like a Bomb and especially Guess God Thinks I am Abel... are indeed GOOD songs! pour out and research inside yourself all good memories about being under Cupid's arrows. Yep, on that song Liam has been helped... but the second is all Liam's effort, and that is astonishing. Liam is that kind of person that follows only his own heart. No compromises, no fake helps from diplomatic sides (he's got none of them). just a big heart blossoming words around. I believe every woman would love to have a tiger purring at her side, unable to bite, cos fallen in total attraction and love. I would just appreciate people trying to judge this record for what is expected to be. 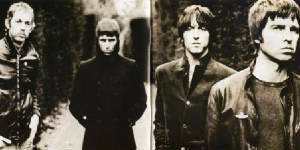 In this record there is Oasis's walk from 92 to today's schedule. It's a very good record. I am proud of what they've done this time. 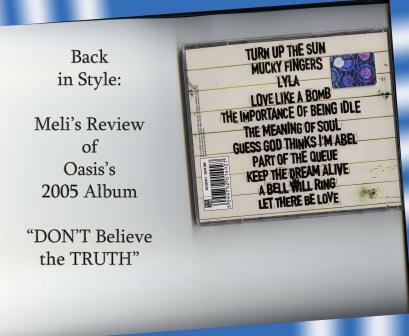 I'd write a defined judgement on all songs but it's not really my thing when it comes to Oasis. their talent and beautiful souls as they sounds like in this record. anyone's life into Oasis's tunes. That made them great in the first place: and it's happening unexpectedly again. will claim or dismantle, what comforts me is that they're happy to sound together. Thanx guys, catch you sometime soon in some fields out there. Artworks in these pages are from the record reviewed: slight changes are provided to fit the image of this web magazine. All credits from the original images belong to Oasis. All images are taken by a bought copy of the reviewed record.